This product is available at Banggood, AliExpress, Ebay. At banggood.com you can purchase Original Xiaomi MiJIA LED Smart Infrared Human Body Motion Sensor Dimmable Night Light For Home for only $11.99, which is 14% less than the cost in AliExpress ($13.96). The lowest price of Original Xiaomi Mijia LED Corridor Night Light Infrared Remote Control Body Motion Sensor Smart Home for Mi Home Night Lamp was obtained on 9 February 2019 2 h 04 min. 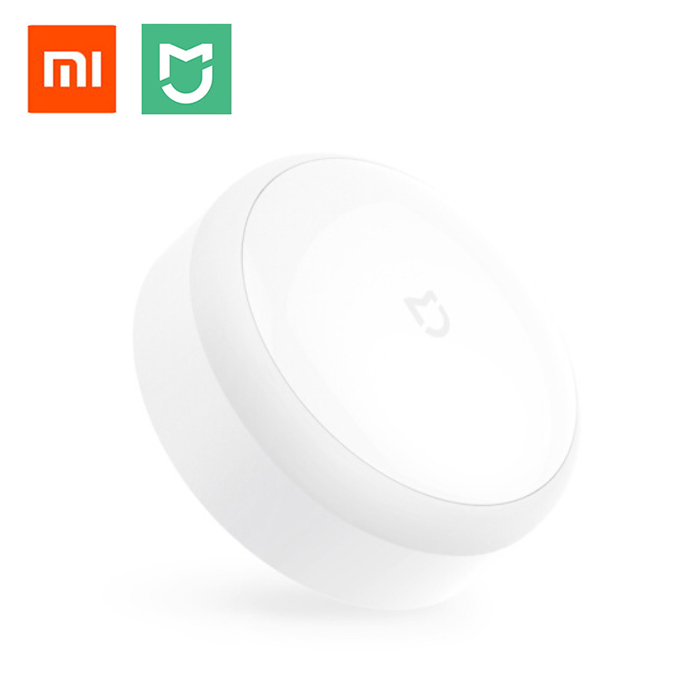 This small lamp from the Xiaomi Mijia range is equipped with an infrared motion detector. It is able to detect a movement over a distance of 5 to 7m. It works with 3 AA batteries (not included in the kit). You will be able to light a wardrobe, a staircase, a cupboard, the entrance of a room … The ring of LEDs allows a lighting at 120 ° with a color temperature of 2700K. The light intensity is adjustable (0.7lm and 3.8lm). The lighting delay is 15s. The battery life is about 12 months at 0.7lm and 6 months with 3.8 lumens.